As many of you know February is Heart Month. While many think of only raising awareness for heart disease in women and adults, research for congenital heart defects (CHDs) is underfunded and doesn't get the attention it needs. 1 in 100 babies are born with a CHD and it kills more children than any type of children's cancer. 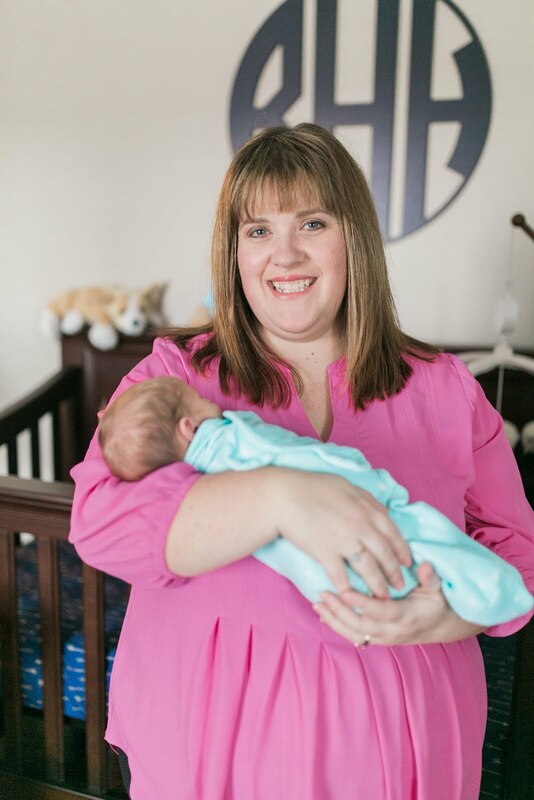 Of course being new to the CHD family, I am not near as good as raising awareness as some of the other awesome moms I have met through support groups. I do what I can though. So when Nationwide Children's hospital contacted us about sharing our story during heart month we were eager to say yes. Though many of you have seen our interview with NBC 4 Columbus, I wanted to share the story. We met with Gina from marketing and Ellie Merritt the reporter and news anchor who would be sharing Knox's story in the Magic Forest at Nationwide. We were missing one very important guest at the party though - Dr. G! He was one of the reasons we were excited to do the interview because he would be there as well. We haven't seen him since we left Columbus, and of course, he holds a special place in our heart. We went up to the cardiology clinic - a place we were very familiar with and set up in a conference room. We began our interview and waited for Dr. G's arrival. Of course when he arrived everyone stopped what we were doing. He seemed nervous because he doesn't like the spotlight, and apologized because he had been up all night in surgery. He was excited to see us and excited to see Knox. It was nice to see him and not be nervous and talking about surgery. He is such a wonderful individual and an amazing surgeron. He have me some advice - but that's another blog. Ellie, the reporter was wonderful to work with- Very professional and extremely caring. She seemed interested in our journey and loved Knox. Who doesn't though? We were excited to see what they put together to share Knox's story. I am glad it is something we can show him as he gets older. 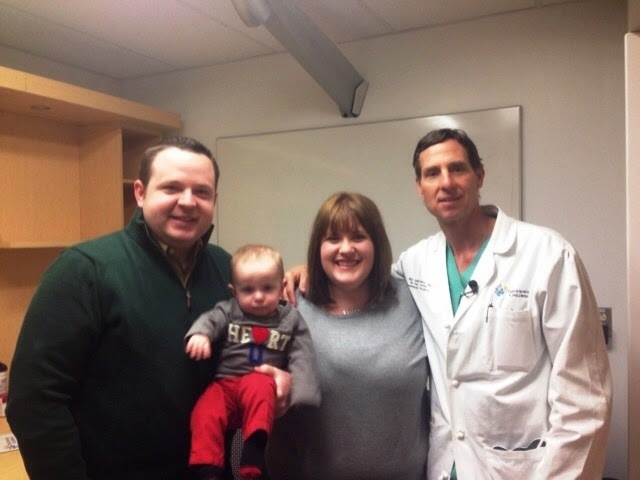 Thank you to Gina, Nationwide, Ellie Merritt, NBC 4, and Dr. Galantowicz for benign apart of our heart awareness story. I have spoke a few times about being a part of support groups on Facebook. You can learn a lot from them and it's a great way to not feel alone. One of the groups I am a member of is exclusively for mothers whose children have had heart issues at Nationwide Children's Hospital. One of their projects during Heart Month is to make a video to thank the staff of Nationwide. Here is the wonderful video they made, and you might even see someone you know! Thank you JoAnne for making this video and allowing me to find comfort in this group. 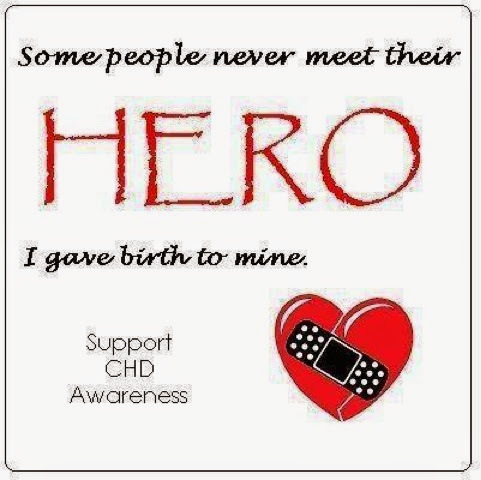 Lastly, the important thing for us to remember is that we should raise awareness for CHDs everyday not just in February. I have seen way too many children affected by these issues this year.